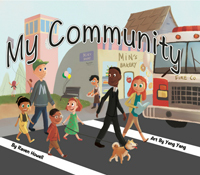 Using gentle rhyme to enliven a child’s day, this picture book weaves us together on a journey leading to our community. We see and meet the host of people with varied names, colors, and kinds, embracing the storyteller, offering hope for children to move into a place where harmony trumps fear. A child romps through the diversity of a year, joyfully meeting and greeting birds, beaches, colorful leaf piles, and snow as cool as peppermint for a full circle of seasons in this lyrical picture book appropriate for kindergarten aged children and older. This companion book to 2017’s Shimmer, Songs of Night, bursts to sunny, bright adventures where vivid colors sprout, eagles are sky painters, days are strawberry-scented, and laughter and bird twitter sets the heart alight! 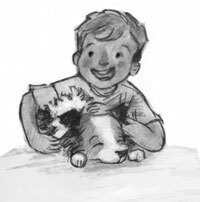 A child celebrates love and learns what it means to have a puppy in the household through daily adventures, resulting in surprising both his parents and himself with a new request. This is the first one in a picture book series for ages 4 to 10. 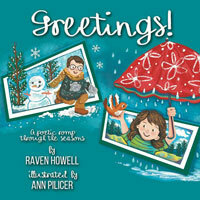 Raven's poems, Rainbow Alphabet and Family Love are included in this anthology of poetry and short stories for children. 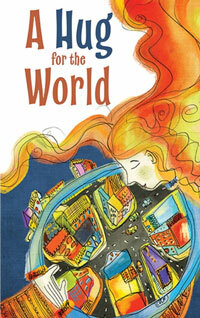 Raven Howell joins other talented authors and illustrators as they celebrate a worldwide hug in a new anthology. All proceeds for the book are for victims of Hurricane Harvey. 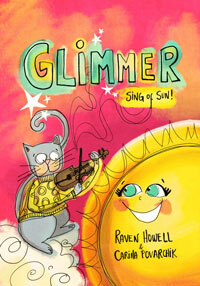 Raven Howell's poems are whimsical, wise, and infused with a timeless sense of the joy and wonder of childhood. Both playful and profound, these poems are love-letters to Life, and remind us of the simple capacity for happiness that is our birthright. 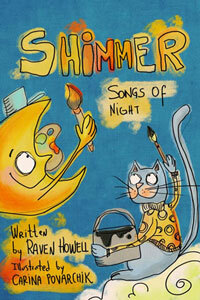 Raven Howell's short poems, packed with warmth and insight, are sure to stir a child's sense of wonder. 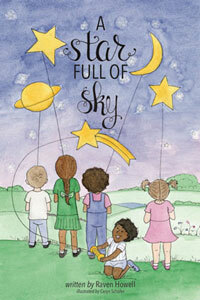 Reading this poetry, a child can relate and connect to our universe. Such wonderful imagery; makes the imagination soar! Light, flowing, and easily read. I was excited to come across this book! These poems are light, deep, insightful and humorous at the same time! This picture book of verse will motivate the stingiest couch potato to activity, and get the grouchiest toddler to giggle! Dozy Poems, Cozy Days has been featured in the 2017 LIBRARY GUIDE and voted top notch reading tool for ADD, ADHD, and autistic youth.